The Atkins diet is one of the classic low-carb diets. The basic idea of this way to lose weight is to minimise the intake of carbohydrates, lower the blood sugar fluctuations and lower the production of insulin. This will make you feel full longer, reduce the amount of fat that you body stores and changing the metabolism so that it enters ketose, a process where the body burns fat instead of carbs. Here you’ll find questions & answers about the Atkins diet. + What's the idea behind the Atkins diet? The idea of Atkins is that it’s the carbohydrates that make you overweight, not the fat. When the Atkins diet first arrived it was wildly criticized since it went against the low-fat theories prevailing at the time. However, recent research agree that sugar and carbohydrates are root causes of being overweight and public opinion is changing. With the Atkins diet you eat a lot of fat to make sure that the body doesn’t enter starvation mode – the fat keeps the metabolism high. You cut down on carbohydrates so that you attain stable blood sugar levels and therefore you won’t feel hungry as quickly as before. In addition, the body’s storage of fat is reduced since the body produces less insulin. When you eat carbohydrates (for example sugar or white bread) the body reacts by releasing insulin into the blood. The insulin ensures that carbohydrates can be used as energy in the cells, but at the same time insulin signals to the body to store fat, which is something you want to avoid. In the Atkins diet you pretty much remove all carbohydrates from the diet. The insulin level is therefore reduced and not as much fat is stored. As the insulin levels increase the blood sugar drops – all sugar is “pushed” from the blood stream into the cells. 2-3 hours after you have eaten your blood sugar level will be very low and you become tired, peckish and crave sugar. When you avoid carbohydrates blood sugar levels won’t raise as high, will drop more slowly and will never becomes really low. You therefore won’t become hungry as quickly and as a result you will eat less. “Starvation” is a body condition that can occur if you don’t eat enough calories. It’s a defense mechanism that the body uses to survive in extreme situations when there’s no food. Apart from feeling an extreme hunger, the body lowers the metabolism to save energy. That means the body burns less calories than usual. When you stop dieting and go back to eating as before the body will react by storing an extra buffer of energy, fat, in case there is starvation again. A very useful survival mechanism when there is famine, but quite bad if you want to lose some weight! When eating lots of fat, as you should do in the Atkins diet, you’re sending signals to the body that there’s a surplus of food. The body then turns up the metabolism, burning all the energy it can – perfect when wanting to lose weight! The body normally uses carbohydrates (glucose) as fuel, which is its most efficient fuel source. When you eat few carbohydrates there is not enough fuel for the body – then it switches to use fat as fuel instead. That condition is called ketose. Burning fat through ketose is not as efficient as burning carbohydrates, meaning you will use more calories when in ketose and you kick start your weight loss. Diets that want the body to enter ketose are called “ketogenic” diets. Atkins is based on this principle and uses ketose to lose weight and at the same time stop sugar cravings. To enter into ketose you need to eat less than 20 grams of carbohydrates per day. The first two weeks in ketose you could get side-effects such as feeling lethargic, a little bit weak and your breath may have a slight smell of acetone. The reason for that is that the body hasn’t yet adapted to ketose but these effects will disappear. + What am I allowed to eat when following Atkins? In short, you eat as much meat as previously but switch rice, bread, pasta and potatoes to salad or vegetables instead. You can also put some extra sauce or fat on top of that. In total you consume less calories than in a normal diet, even though you eat more fat, since fat and protein make you stay full longer than carbohydrates. To eat according to Atkins is similar to becoming vegetarian, but with carbohydrates instead of meat; you exclude certain types of food and after a while you stop missing them. You could get nausea if you eat something sweet or rich in carbohydrates due to the rush in blood sugar your body is no longer used to. But all in all, as long as you avoid carbohydrates you will feel better and lose weight. The Atkins diet has four phases. In all phases you should eat a lot of meat, vegetables and fat but avoid carbohydrates. The stricter the phase, the less carbohydrates you eat and the faster you lose weight. Stop sugar dependence by eating extremely few carbohydrates, less than 20 grams per day, for two weeks. You will suffer some sugar withdrawal symptoms, but the body will end up in ketose and you’ll lose weight quickly. You eat between 40 and 60 grams of carbohydrates per day. This stage could go on for several months until you reach your goal weight. With only a few kilos left to your goal weight you increase the intake of carbohydrates a little at a time until the weight loss has stopped and the body is no longer in ketose. You keep your goal weight for the rest of your life. You eat the amount of carbohydrates that maintains your new weight. + What's the difference between Atkins and other diets? The Atkins diet is a diet where you pretty much stop eating carbohydrates, such as sugar, bread, pasta and potatoes. It’s a lifestyle diet where you permanently change the way you eat, it’s not a quick fad diet. It’s well suited for people who failed to get results with the traditional low-calorie diets and similar diet plans. + What's the difference between Atkins and other low-carb diets? Atkins and Montignac were the first diets where carbohydrates were seen as the reason for weight gain. Atkins is more strict than Montignac and the GI diet, the latter allowing quite a lot of carbohydrates as long as they have a low Glycemic Index. + Do I need to exercise while following Atkins? The Atkins diet doesn’t say anything in particular when it comes to exercise, but it’s always good for you and you’ll lose weight quicker. Some say that they have less energy in the first strict phases of the Atkins diet, whereas others don’t feel any difference. + What does science say? Atkins broke all the rules and norms when he said that it was the carbohydrates and not the fat that made us fat. Therefore his method was tested in many scientific studies. All of them showed that the Atkins diet leads to a more significant and more permanent weight loss than low-calorie diets. A popular criticism against the Atkins diet is that it leads to cardiovascular diseases caused by all the fat the diet recommends. However, no research has shown this to be a problem. One study showed that women eating according to Atkins have the same or lower risk of heart disease than women eating a low-fat diet. Studies have also shown certain advantages for diabetics eating according to Atkins. It’s not known how the body is affected in the long run by eating a diet high in fat and protein. Since the Atkins diet is “only” about 30 years old no truly long term studies have been performed. Many studies are on-going and so far none of them have shown any negative long term effects. + Didn't Doctor Atkins die fat? 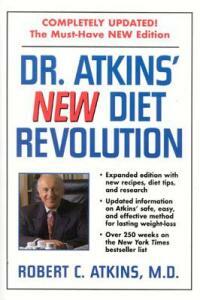 There is a common objection against the Atkins diet stating that Doctor Atkins was heavily overweight when he died. The answer is both yes and no. Yes, when Dr. Atkins died he weighed more than 20 stones (about 130 kilos). He died of a head injury after falling on an ice-patch. During the time he was in a coma at the hospital, several of his inner organs failed, his body couldn’t get rid of fluids; over 60 pounds of fluids were retained in his body. Before his accident he weighed about 95 kilos. Dr Atkins had a heart problem caused by a virus (not by the diet as it’s sometimes said) which lead to his health being monitored strictly and apart from the heart condition he was as fit as a fiddle. The Atkins diet’s opponents have spread the rumour that Atkins died fat and with a heart problem, both caused by his high-fat diet. This is not at all true but still has managed to damage the reputation of the Atkins diet considerably. + Can I eat according to Atkins if I have diabetes? Today many claim that the Atkins diet is very well suited for diabetics since the idea of the diet is to keep a constantly low insulin level by avoiding carbohydrates. Read more about low-carbohydrate diets for diabetics here: dietdoctor.com. + Won't I get fat when I eat a lot of calories? No. What makes you fat is fat that the body stores, not fat that you eat, which is a fact that contradicts all traditional weight loss theories. If you eat carbohydrates and fat at the same time, the carbohydrates trigger the body to produce insulin which signals the body to store the fat you have eaten. If you instead keep the insulin low by avoiding carbohydrates, very little fat is stored. + What advantages does the Atkins diet have compared to other diets? The Atkins diet is more of a lifestyle than a diet. Therefore it can lead to a permanent weight loss if the method suits you and you feel comfortable with it. You can eat food that you really enjoy, which makes it an easy diet to follow – isn’t cheese and creamy sauces tastier than low-fat rice cakes? You don’t need to starve yourself and can instead eat until you feel full. When you get rid of your sugar addiction your sugar cravings will be gone, and you won’t even be tempted to eat the “forbidden” food any more. It’s been proven that the diet works – studies have shown Atkins makes you lose weight quicker and that the weight loss is more permanent than with low-fat diets. + What are the disadvantage of the Atkins diet compared to other diets? The biggest disadvantage, when choosing to follow Atkins, is that you have to give up certain dishes for good, such as pasta, risotto and sandwiches. However, a comfort could be that once you’re used to not eating them you will no longer miss them. Once your sugar and carb cravings are gone those foods you used to like won’t look nor taste good any more. Some researchers claim that the Atkins diet could lead to an increased risk of cardiovascular diseases and high cholesterol since you eat a lot of fat. No scientific evidence has however been shown, and other researchers say the opposite. Several studies are underway, and those finished have shown results that confirm the positive effects of the Atkins diet. During the first, strict phase you could experience sugar abstinence and feel lethargic. At the same time the breath could smell slightly of ammonia. To eat out can be complicated, or to be invited to someone’s house for dinner, as “normal” food contains lots of carbohydrates. The diet isn’t that easy to follow, you will need knowledge regarding what you can and cannot eat. If you make mistakes the diet won’t work. Buying a book is a good idea. + How do I start with Atkins? The easiest way of starting with Atkins is to read a book. Partly to learn what to eat and not but also to get inspiration and recipes. Check out books about the Atkins diet at Amazon.co.uk. You could also join an online weight loss club where you learn how to switch over to a low-carbohydrate diet. + How do I increase my odds to succeed with the Atkins diet? 1. Join an online weight loss club so that you learn to count carbs instead of calories, check out for example Vektklubb.no. 2. When you start a diet you run an increased risk of food deficiencies. Therefore make sure you take a multivitamin pill to compensate. Ketose is sometimes confused with ketoacidosis which is a dangerous condition for diabetics. You cannot get ketoacidosis just by changing your diet, you have to be a diabetic. Ketose is on the other hand not dangerous. Eskimos often stay in ketose for weeks when they don’t have access to grains or fruit and only live on meat and fat. There are however no truly long term studies, ranging from 30 years or more, of the consequences of being in ketose for a longer period of time. There are also no studies of ketose during pregnancy. + Doesn't the brain need carbohydrates to work properly? Yes, the brain cannot use fat as fuel, and needs carbohydrates. However, the body is clever enough to fix that; when the fat molecules split into ketones in the liver, small amounts of sugar are also created as a bi-product that goes straight up to the brain; those small amounts of sugar are enough. + Can I exercise while in ketose? Yes, that’s fine. There are people running marathons and competing in triathlons while eating low-carb and being in ketose. Remember the Inuits who are constantly in ketose while hunting and there’s only seal meat and seal fat to eat. During the first weeks in ketose, the body isn’t used to it and you might therefore feel weak and find it hard to exercise. But the body will get used to it after a while. Do you feel that the Atkins diet isn’t for you? Atkins is one of the best known low-carbohydrate diets, but feel free to compare to similar and less demanding diets such as the GI diet or the Montignac diet. Missing a question? Please send me a mail! JURIDISK ANSVARSFRASKRIVELSE: All informasjon på denne siden er kun tiltenkt for utdanningshensikter. Ingen råd skal ansees som medisinsk diagnose eller behandling. Hvis du mener du har et medisinsk problem må du oppsøk profesjonell rådgivning før du bregynner på en kur, mat eller trening. Vi kan ikke garantere at informasjonen på denne siden er fullstendig eller nøyaktig, og kan ikke holdes ansvarligf or enhver feil, utelatelse eller unøyaktighet av det publiserte materialet. Vi fraskriver oss alt ansvar eller tap i forbindelse med ethvert innhold oppgitt her og vi fraskriver oss alt ansvar for produktene eller tjenestene anbefalt på denne siden. All informasjon på denne nettsiden er eiendommen til ned-i-vekt.no og kan ikke bli brukt uten skriftlig godkjennelse fra eieren. Alle produktnavn og varemerker på denne nettsiden tilhører deres henholdsvise eiere.